Hello everyone! 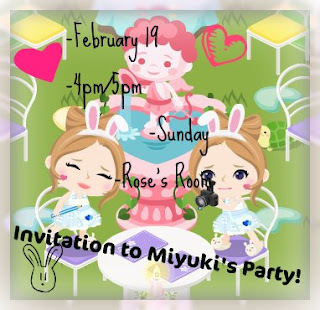 Here's an invitation from Miyuki for her birthday party this Sunday, February 19, 2012. So let's party and enjoy our time with them! seriously? 2 in the morning?